Aussie teens could soon be flashing shonky smiles if they don't give up their addiction to sugary drinks that not only affect their health, but their teeth too. They are being warned not to be sucked in to downing soft drinks, sports drinks or energy drinks after the Rethink Sugary Drink revealed some males are consuming as much as 1.5 litres a day. The "Thirsty" campaign will be launched on Wednesday, showing gritty and graphic images of the damage the drinks do to teeth. Supported by the Cancer Council of Victoria, the campaign will focus on the "manipulative sweet deal" big brands are selling consumers and the horror story smiles dentists see firsthand. 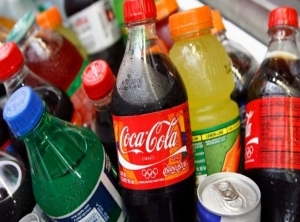 - Sugar sweetened beverages are high in kilojoules, leading to weight gain and obesity. - Many drinks contain acid that harms your teeth, including regular and diet soft drinks, sports/energy drinks and fruit juices. Acid weakens tooth enamel which can lead to tooth decay. Tooth decay is the most prevalent disease in Australia. - Sugar sweetened beverages produce more acid when the sugar combines with bacteria in the mouth.